Sterling Silver ring in the shape of a O and a ring. Simple design but effective. Made to your size. 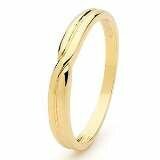 Resize Your Ring for FREE! This 6mm wide ring can be personalised with any name that you choose! The ring features contemporary lettering which are raised onto the Sterling silver (0.925) band. This Name Ring is also available in 14ct Gold. Resize Your Ring for FREE! Get trendy with the Sterling Silver Cubic Zirconia Infinity Ring. Adorned in cubic zirconias, this infinity ring makes a statement about eternity. 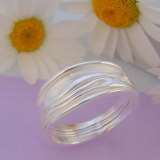 The Infinity Ring is made out of 0.925 Sterling Silver. 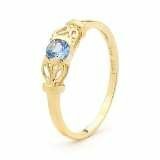 Authentic Tiffany &amp; Co. gold tone ring. Great companion where you go. Size: 4 (US size) or 9 (Japanese size).